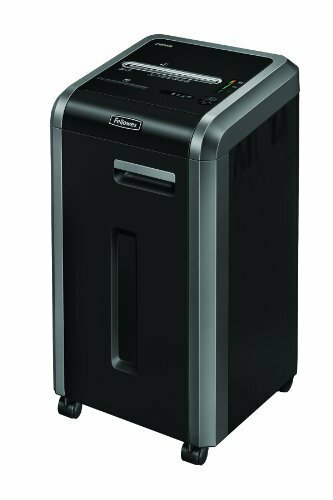 POWERSHRED W11C SHREDDER - 120V NAReliable medium duty W11C Cross-Cut Shredder is ideal for deskside use. Wide 9" paper entry. Patented Safety Lock disables shredder for added safety protection. 1-year product and service warranty plus 3 years on cutters. Shreds 11 sheets per pass into 5/32 x 1-3/8" cross-cut particles (Security Level 3). 5.5-gallon bin. Dimensions: 18"H x 13.75"W x 8.5"D. BLACK/SILVER This item cannot be shipped to APO/FPO addresses. Please accept our apologies. 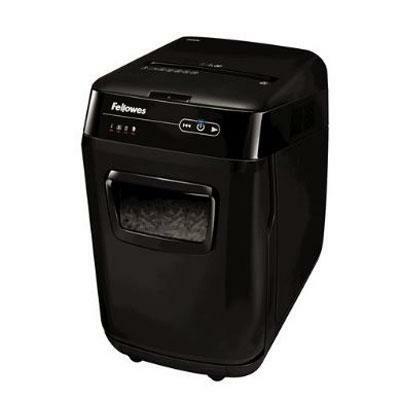 ST80X Slide Top 8-Sheet Cross Cut Shredder is perfect for home and home office; Sliding top completely covers paper entry when not in use; Shreds 8 sheets in a single pass; Shreds paper into secure 5/32" x 1-1/8" cross cut pieces; Shreds credit cards; Paper entry opening 8-3/4"; Photo sensor auto-start/ stop operation; Auto stop with paper jams and overheating; Translucent 2-3/4 gallon pullout bin; Measures 16" H x 11-7/8" W x 6-1/2" D 8-3/4" lbs. This item cannot be shipped to APO/FPO addresses. Please accept our apologies. 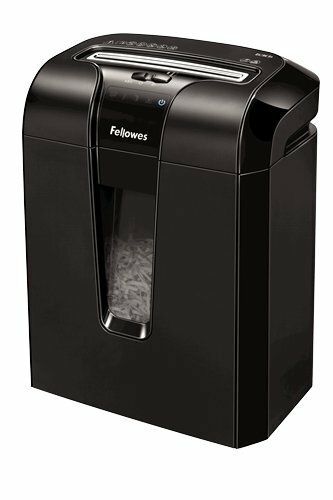 Royal Consumer CX6 Shredder - Medium duty cross-cut shredder 6 sheet capacity shreds credit cards & staples auto start/stop & reverse lift off wastebasket included - Black This item cannot be shipped to APO/FPO addresses. Please accept our apologies. 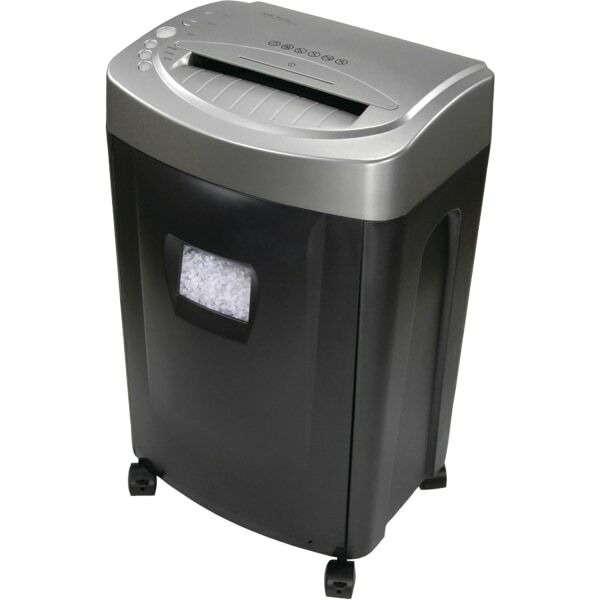 Royal Consumer now offers the JS55 with STD Basket shredder. The 5-sheet capacity cross strip cut shredder comes with a plastic basket 8.75" throat width auto start/stop and reverse. This item cannot be shipped to APO/FPO addresses. Please accept our apologies. 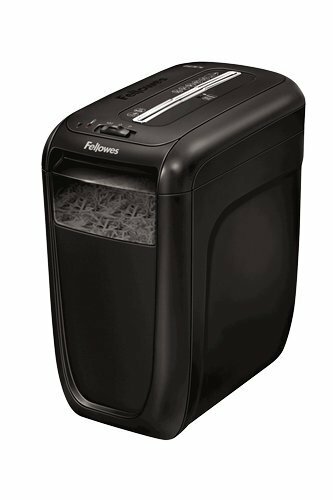 The Powershred 60Cs Cross-Cut Shredder features SafeSense Technology that stops shredding when hands touch the paper opening. The 60Cs shreds 10 sheets per pass into 5/32x 2 cross-cut particles (Security Level 3). Shreds for up to 6 minutes before a 30 minute cool down period is needed. Features a 6 gallon bin. 16.2H x 9.2W x 14.6 D. Includes 1 year product warranty and 5 year cutter warranty. For 1 user. This item cannot be shipped to APO/FPO addresses. Please accept our apologies. The Powershred 62MC Micro-Cut delivers ultimate protection with particles 6x smaller than standard cross-cut. Shreds 10 sheets per pass into 7/6"x 25/64" micro-cut particles (Security Level P-5). Patented Safety Lock disables shredder for added safety protection. Holds over 80% more paper per gallon than standard cross-cut. Shreds for up to 7 minutes before a 60 minute cool down period is needed. The 62MC features a 5 gallon bin and includes 1 year product warranty and 5 year cutter warranty. For 1 user. This item cannot be shipped to APO/FPO addresses. Please accept our apologies. 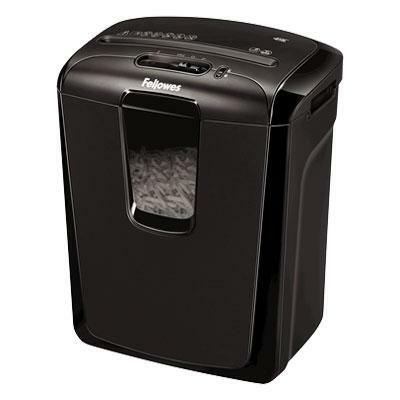 The Powershred H-6C Cross-Cut Shredder is a reliable deskside shredder for personal use. 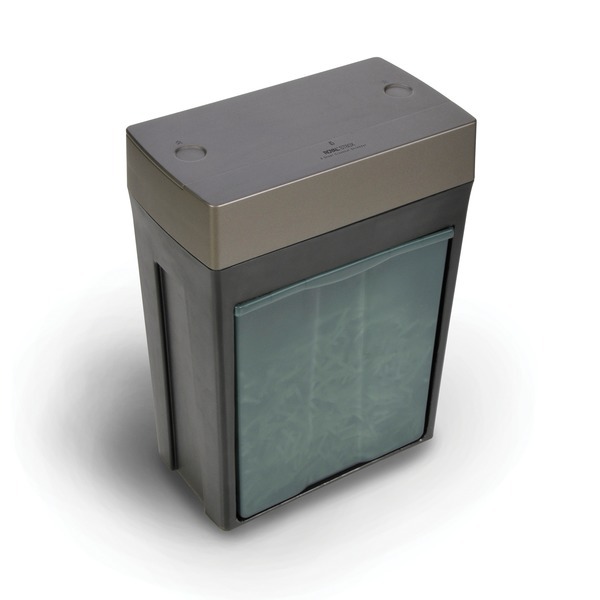 Patented Safety Lock disables shredder for added safety protection. 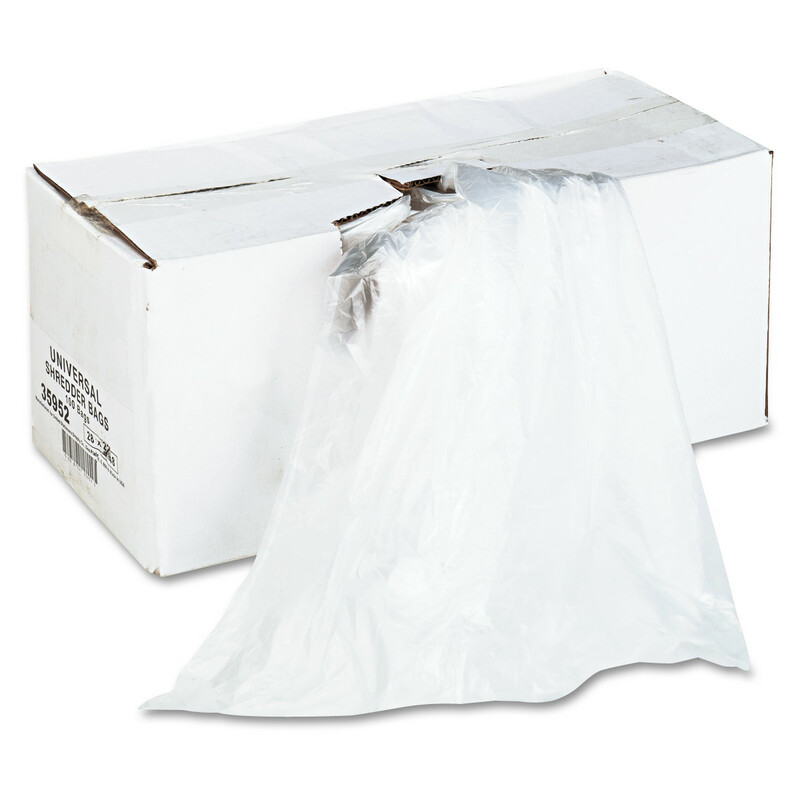 The H-6C shreds 6 sheets per pass into 5/32" x 1-3/8" cross-cut particles (Security Level P-4) and also safely shreds staples paper clips and plastic credit cards. It has a 3-gallon bin with easy lift-off head. Designed for individual use the H-6C shreds for up to 3 minutes before a 30 minute cool down period is needed. Includes 1-year product warranty plus 3-year cutter warranty. This item cannot be shipped to APO/FPO addresses. Please accept our apologies. 112MX Cross Cut Shredder-- Shreds 12 sheets in a single pass 5/32" x 1 5/8" shreds shreds CDs and credit cards auto start/stop wastebasket included This item cannot be shipped to APO/FPO addresses. Please accept our apologies. Royal 1600MX 16 Sheet Cross Cut Shredder. Office and Home Usage. Cuts paper in 5/32" x 1 1/2" pieces. Shreds credit cards CDs and DVDs. 60 minute run time. 7 Gallon Pull Out Bin with Viewing Window. Comes with casters for easy mobility. Color: Black/Silver This item cannot be shipped to APO/FPO addresses. Please accept our apologies. Delivers the right amount of lubrication to the blade every time. Clean touch, no mess and easy-to-use. Feed directly into the paper entry just like a sheet of paper. 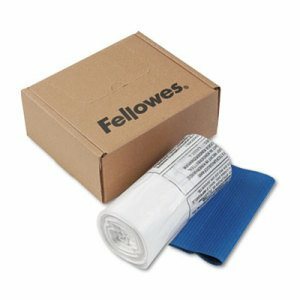 Packaging: Sheet; Sheet Size (W x H): 5.5" x 2.8". 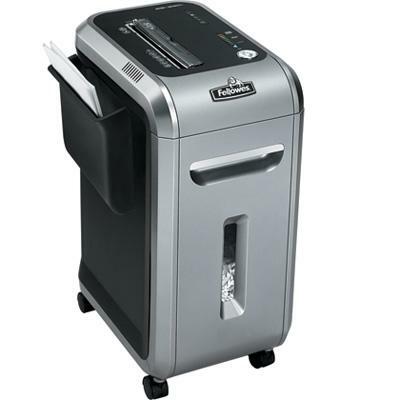 MC14MX Shredder 14 Sheet micro-cut shreds staples/credit cards basket This item cannot be shipped to APO/FPO addresses. Please accept our apologies. 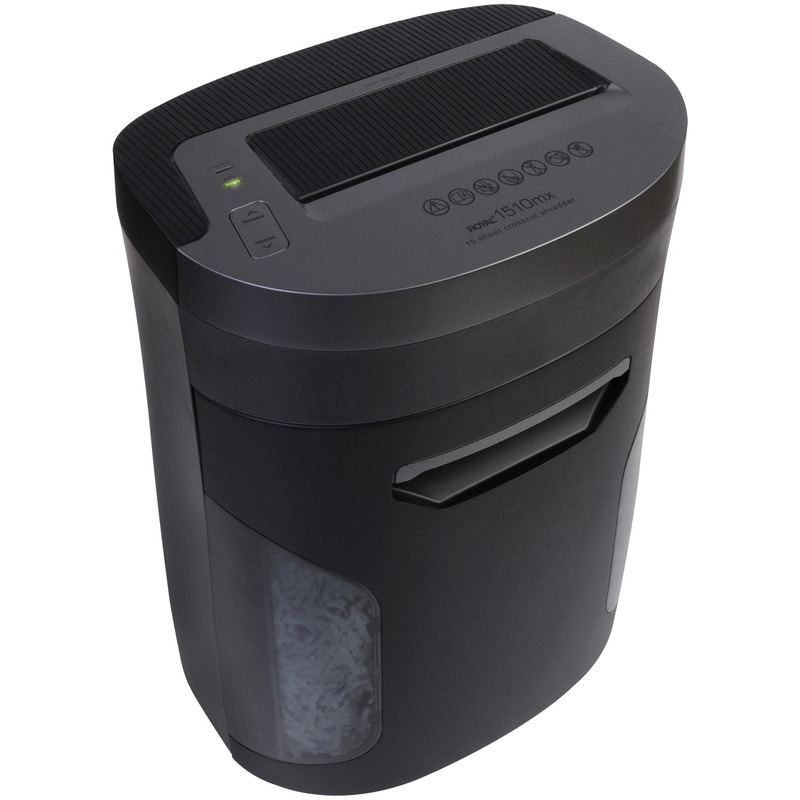 The Powershred 11C Cross-Cut shredder provides reliable medium duty shredding and is ideal for deskside use. Patented Safety Lock disables shredder for added safety protection. The 11C shreds 11 sheets per pass into 5/32" x 2-1/16" cross-cut particles (Security Level P-3) and also safely shreds staples paper clips and plastic credit cards. It has a 4.8-gallon bin with easy lift-off head. Designed for individual use the 11C shreds for up to 5 minutes before a 30 minute cool down period is needed. Includes 1-year product warranty plus 3-year cutter warranty. This item cannot be shipped to APO/FPO addresses. Please accept our apologies. 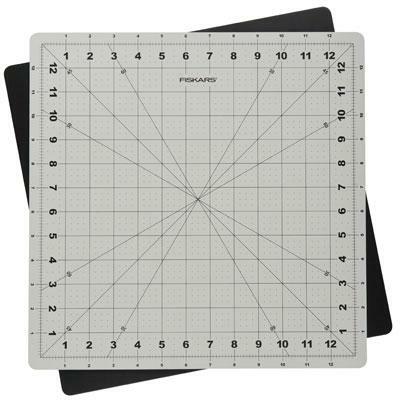 Fiskars Gray 14" x 14" Rotating Cutting Mat (Trilingual) is a high quality self-healing surface Rotate the mat not your project. Mat easily rotates 360 degrees. 30- 45- and 60-degree bias lines for creating triangles and star shapes. This item cannot be shipped to APO/FPO addresses. Please accept our apologies. WASTEBAGS - PERSONAL (100/RL). 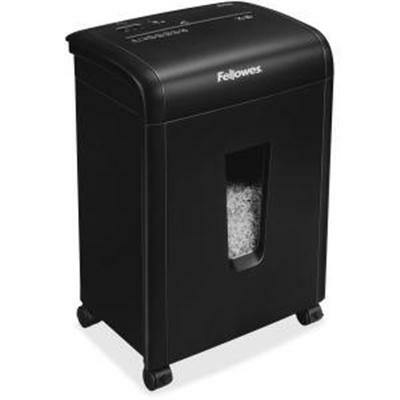 POWERSHRED Waste Bags for Fellowes shredder waste receptacles. Convenient bags keep work areas clean. Includes easy-to-use dispenser box with extra-long wire ties. 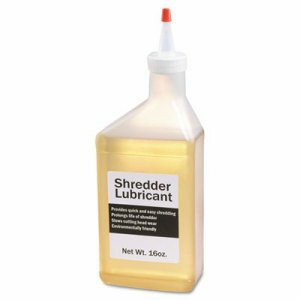 For use with all POWERSHRED personal shredders except the SB-97Cs and DM17Cs. 100 bags. 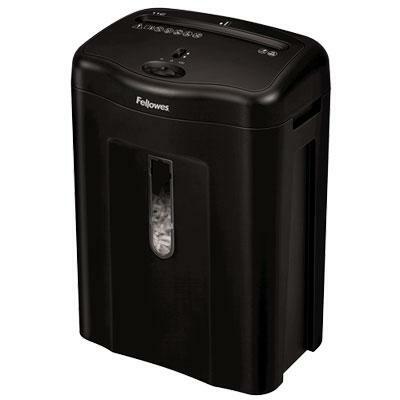 Personal Sized Fellowes Shredders This item cannot be shipped to APO/FPO addresses. Please accept our apologies. 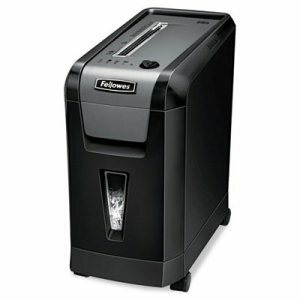 POWERSHRED 99CI SHREDDER (CROSS CUT) 120V US (BROWN BOX). 100% Jam Proof System eliminates paper jams and powers through tough jobs. SilentShred offers ultra-quiet performance for shared workspaces. Patented SafeSense Technology stops shredding when hands touch the paper opening. 2-year product and service warranty plus lifetime on cutters. 17 sheets per pass. 5/32" x 1-1/2" cross-cut particles (Security Level 3). Max run time: 25 minutes. 9-gallon pull-out bin. 25.19"H x 13.81"W x 17.75"D. For 1-3 users. BLACK/DARK SILVER This item cannot be shipped to APO/FPO addresses. Please accept our apologies. For use with all size-compatible shredders. 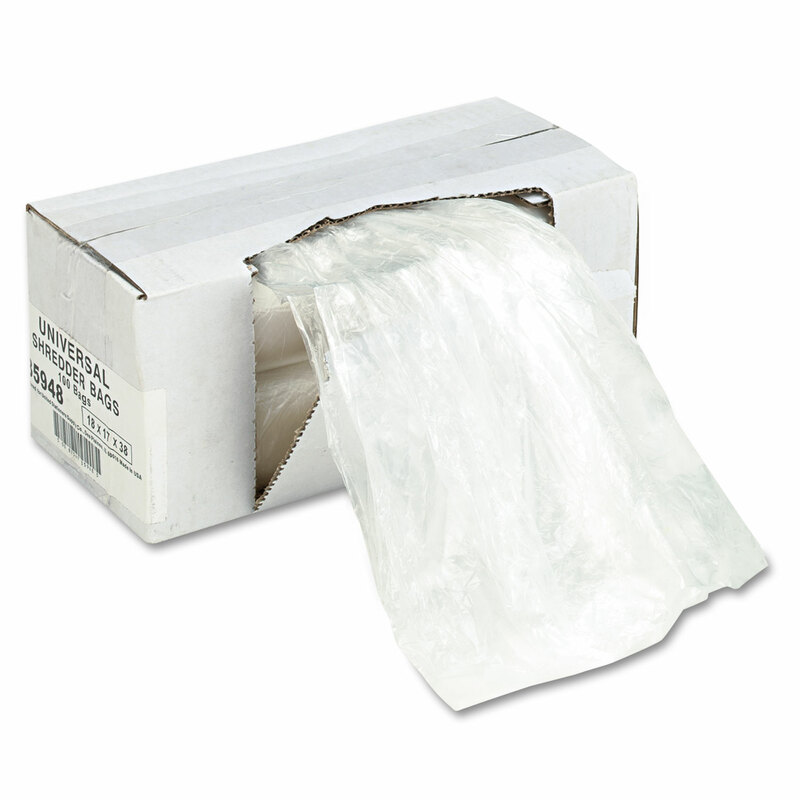 Made from high-density, puncture-resistant polyethylene resin. Color(s): Clear; Diameter: 28"; Width: 28"; Depth: 22". AutoMax 200C Shredder (Cross Cut). 200 sheet automatic and 10 sheet manual shredding capacity. AccuFeed System-fast automatic shredding for medium usage. Auto Reverse stops and reverses paper if a jam occurs. SilentShred offers ultra-quiet performance for shared workspaces. Energy saving Sleep Mode feature shuts down the shredder after 2 minutes of inactivity. Innovative touch screen technology with back-lit LEDs. Safely shreds Staples Paper Clips Credit Cards CDs/DVDs and Junk Mail. 8.5 gallon pull-out bin. This item cannot be shipped to APO/FPO addresses. Please accept our apologies. 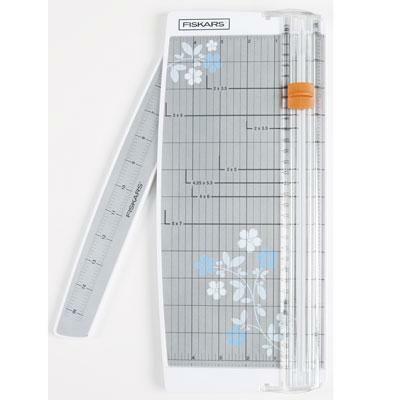 Fiskars 12" Portable Paper Trimmer-Euro-Fashion (Trilingual). Color: Clear & Orange. SKU 196920-1001. 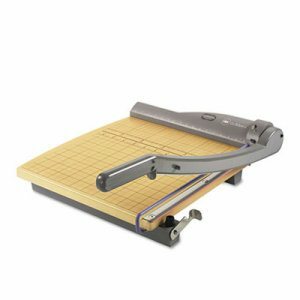 Patented TripleTrack blade and rail system interlocks blade and rail for straighter more precise cuts Extended Measurements swing-out arm extends measuring deck over 15 inches Accuracy precision scale in 1/16th inch increments and bold accent grid lines with common card sizes. Ergonomic high profile carriage for a better grip when cutting. Rubberized Feet keep trimmer in place and protect the work surface. Ergonomic Blade carriage is easier to grip when cutting. Lightweight and portable for quick and easy cutting. Large base for easy project layout and measuring. Includes bonus replacement blade. Cutting length 12" This item cannot be shipped to APO/FPO addresses. Please accept our apologies. 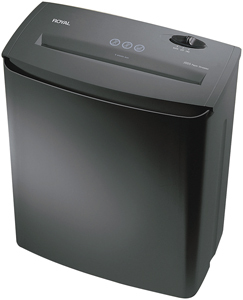 The Powershred 63Cb Cross-Cut Shredder features Jam Blocker technology. Jam Blocker blocks jams before they start. 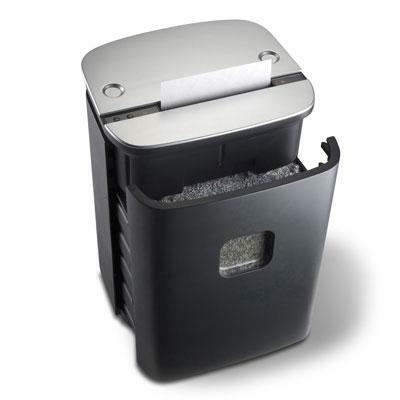 The SafeSense Technology stops shredding when hands touch the paper opening. The Energy Savings System provides optimal energy efficiency 100% of the time in use and out of use. The 63Cb shreds 10 sheets per pass into 5/32x 2 cross-cut particles (Security Level 3). Shreds for up to 8 minutes before a 20 minute cool down period is needed. Features a 5 gallon pull-out bin. 18.13H x 15.19W x 10.88D. Includes 1 year product warranty and 5 year cutter warranty. For 1 user. This item cannot be shipped to APO/FPO addresses. Please accept our apologies. 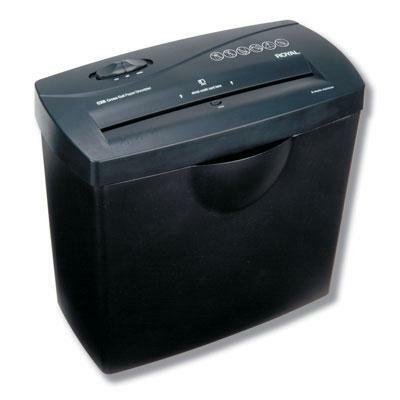 Royal Consumer SC120 Medium duty cross-cut shredder 12 sheet capacity shreds credit cards auto start/stop & reverse casters pull-out wastebasket included - Black This item cannot be shipped to APO/FPO addresses. Please accept our apologies. Great for fliers, handouts, invitations and other heavy materials. Trimmer base is made from 100% recycled post-consumer resin. Self-sharpening blades never need replacing. 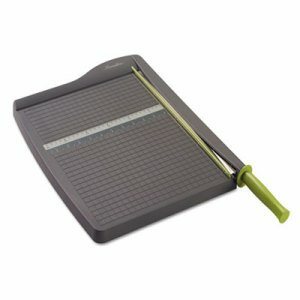 Precision printed scale and grid helps to accurately align projects prior to cutting. Integrated paper clamp holds paper in place while keeping your fingers from touching your project. Blade locks down for safe transportation and storage. 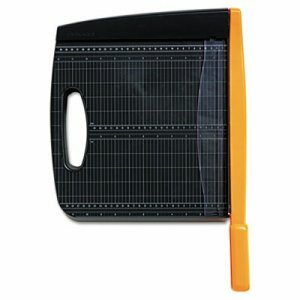 Trimmer Board Type: Bypass; Sheet Capacity: 10; Cut Length: 12"; Base Length: 12 3/10". 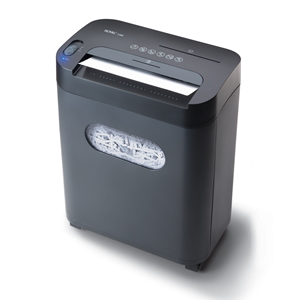 The Powershred 225Mi features a 100% Jam Proof System that eliminates paper jams and powers through tough jobs. SilentShred offers ultra-quiet performance for shared workspaces. The Energy Savings System provides optimal energy efficiency 100% of the time in use and out of use. SafeSense Technology stops shredding when hands touch the paper opening. The 225Mi shreds 14 sheets per pass into 5/64 x 15/32 Micro-Cut particles (Security Level 4). The 16 gallon bin holds over 80% more Micro-Cut particles per gallon than standard Cross-Cut. The continuous duty motor offers non-stop shredding . 29.38H x 17.75W x 17.13D. Includes 2 year product warranty with 7 year cutter warranty. For 3-5 users. This item cannot be shipped to APO/FPO addresses. Please accept our apologies. Provides quick and easy shredding. Prolongs shredder life. Slows cutting head wear. Capacity (Volume): 16 oz; Packaging: Bottle. Royal HG12X 12 Sheet Crosscut Shredder. 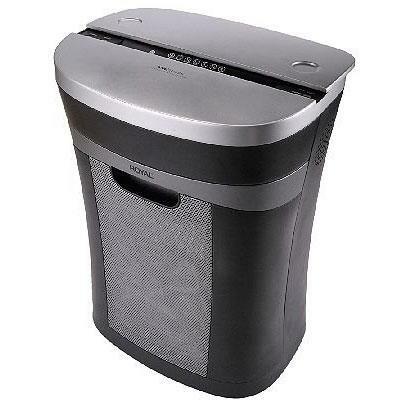 4.5 Gallon Pullout Mesh Wastebasket. Shreds 12 sheets in a single Pass. Will shred credit cards. This item cannot be shipped to APO/FPO addresses. Please accept our apologies. Royal 1510ML 15 Sheet Crosscut Paper Shredder. 5 Gallon Pullout Basket. Shreds up to 15 Sheets in one pass. Shreds CD DVD Credit Cards & Staples. Includes Casters for Easy Mobility. Shreds paper into 5/32" x 1 1/4" pieces. This item cannot be shipped to APO/FPO addresses. Please accept our apologies. Royal ST140MX 14 Sheet Cross Cut Paper Shredder. Shreds a single paper into 5/32" X 1 1/2" Cuts. Will shred credit Cards and CDs. 5.75 gallon pull-out wastebasket. Home and Office usage. Casters for easy mobility. JamFree Rollers Black/Silver. This item cannot be shipped to APO/FPO addresses. Please accept our apologies. Powershred H-7C Cross-Cut Shredder. 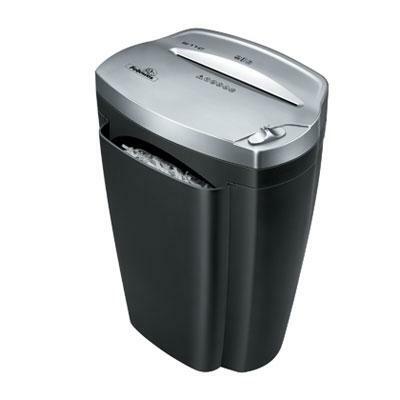 Patented Safety Lock disables shredder for added safety protection. Shreds 7 sheets per pass into 5/32 x 1-3/8" cross-cut particles (Security Level P-4). Also safely shreds staples paper clips and plastic credit cards. Shreds for up to 3 minutes before a 30 minute cool down period is needed. 3.6-gallon bin with easy lift-off head. This item cannot be shipped to APO/FPO addresses. Please accept our apologies. 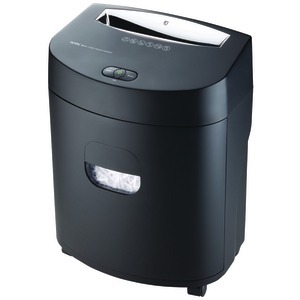 The Powershred 49C Cross-Cut Shredder is a reliable desk side shredder for personal use. Safety Lock disables shredder for added safety protection. 1-year product and service warranty plus 3- year cutter warranty. Shreds 8 sheets per pass into 5/32" x 2" cross-cut particles (Security Level P-3). 4-gallon bin with easy lift-off head. This item cannot be shipped to APO/FPO addresses. Please accept our apologies. 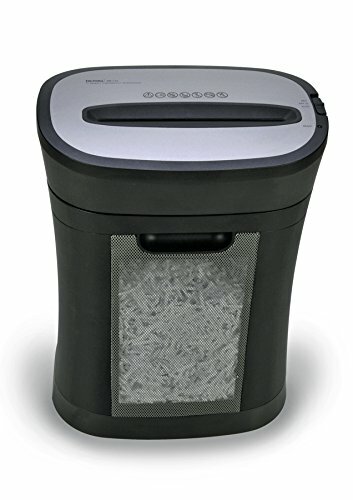 Space-saving cross-cut shredder is small enough to fit right by your desk to handle all of your personal shredding needs. For ultimate peace of mind, SafeSense� Technology immediately stops the blades if hands get too close to the paper opening. 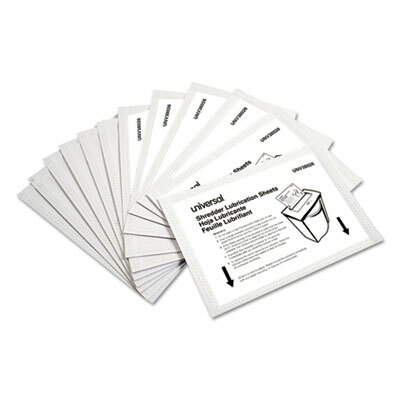 The 100% Jam Proof System prevents paper overloads and powers through misfed sheets to ensure continued productivity. SilentShred feature provides ultra-quiet performance. Pull-out bin is easy to empty. Recommended Shredder Users: 1; Run Time: 10 min; Shredder Type: Cross-Cut; Motor HP: 0.25.